NetScore is a one-stop shop for Retail, E-Commerce, and Wholesale distribution verticals when it comes to NetSuite implementation services. From ERP setup, customization, product development, third-party system integrations to multiple marketplace connectors, NetScore has a proven track record of delivering high-quality results for its customers. With a strong background in ERP and e-commerce, NetScore has built a NetSuite practice with extensive competency in the retail and wholesale distribution verticals. The NetScore team supports the entire NetSuite business application with a number of connectors (eBay, Amazon, Jet) and suite applications. 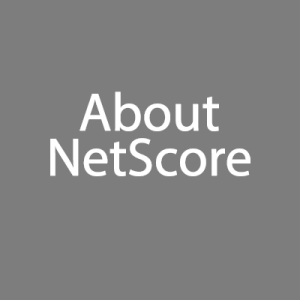 NetScore is a SuiteCloud Developer Network (SDN), Commerce Agency Program (CAP) partner and an Alliance Partner with Oracle NetSuite. NetScore provides a “One Stop Solution” for Retail, and Wholesale distribution verticals – from ERP setup, customization, product development to third-party system integrations to multiple marketplaces like Amazon & eBay. NetScore has proven success with helping both startups and established organizations realize the benefits of cloud ERP to grow and scale their business using today’s best practices. NetScore focuses on design, prototyping, and documentation to maximize efficiency, control waste and reduce implementation and ongoing maintenance costs for your business. NetScore has more than 50 associates including NetSuite certified developers and other professionals with expertise in graphic design, eCommerce development, search engine optimization and project management dedicated to helping you achieve your business goals.